The Montreal Alouettes' offseason is picking up steam, as Montrealer Danny Maciocia was interviewed for the post of general manager on Wednesday. 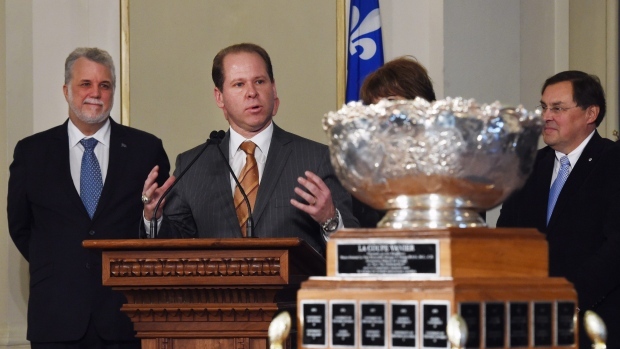 Maciocia, 49, has been head coach at the University of Montreal for the past six seasons, winning the Vanier Cup in 2014. Maciocia began his coaching career in the CFL in 1998 as running backs coach for the Alouettes. He became offensive coordinator in 2001 before taking the same job in Edmonton the following season. Maciocia was named as head coach of the Eskimos following the 2004 season and guided the team to victory at the 93rd Grey Cup. He later became Edmonton's general manager and director of football operations and was let go by the Eskimos in 2010 after a 1-4 start. Maciocia recently told the Montreal Gazette he wasn't seeking out the position. "I’m not lobbying for a job here," he told The Gazette's Herb Zurkowsky. "I’ve got a great job. The only (CFL) job I would consider is the local one - if it’s a good fit for myself and the organization. "It would have to be a great marriage. It may or may not be, I don’t know. But it takes two to tango." The Gazette reported earlier this week that the Alouettes asked permission to interview Ottawa Redblacks assistant GM Brock Sunderland for the position, previously held by Jim Popp.